“Texas Slim” is the alias of Ronnie Yeats, the president of the Butterfield Trail Regulators, a local cowboy action shooting club sanctioned by the Single Action Shooting Society (SASS). 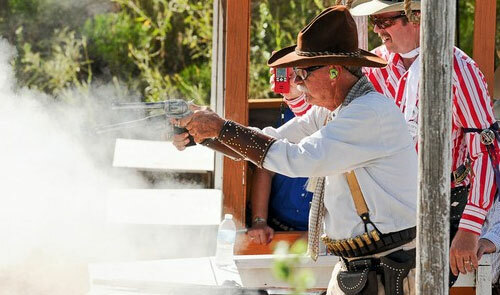 Members of SASS participate in Old West shooting competitions and are expected to dress and act the part — from the firearms they use to the aliases and costumes they adopt. The entire article and more pictures here…. Previous articleBuffalo/Long Range Rifle Match in Flint Hills,Kansas.